Welcome to the 82nd edition of Math Teachers at Play (MTaP) Blog Carnival! MTaP is a monthly blog carnival with a collection of tips, games, and activities for teachers of students of all ages. If you haven’t seen the carnival before, I would encourage you to read the previous posts. 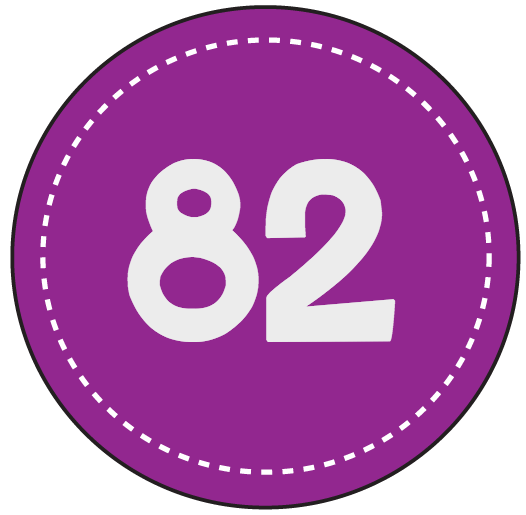 First, some information about the number 82! Now, on to the posts! 7 Ways Kids Can Learn to Make a Graph - Anna, from The Measured Mom, shares 7 Ways Kids Can Learn to Make a Graph. She shares ways she teaches her young children about bar graphs using toys, food, and coins. Math Games with Dice - Help students practice their math skills with dice! Rachel K, from Rachel K Tutoring, gives 18 ideas for fun educational dice games. How to Teach Homeschool Addition with Understanding - Some homeschool moms tend to think that the only way to master the math facts is to memorize and drill. Kate from Kate's Homeschool Math shares a more interesting and effective way to tackle one set of math facts that can be difficult for kids. 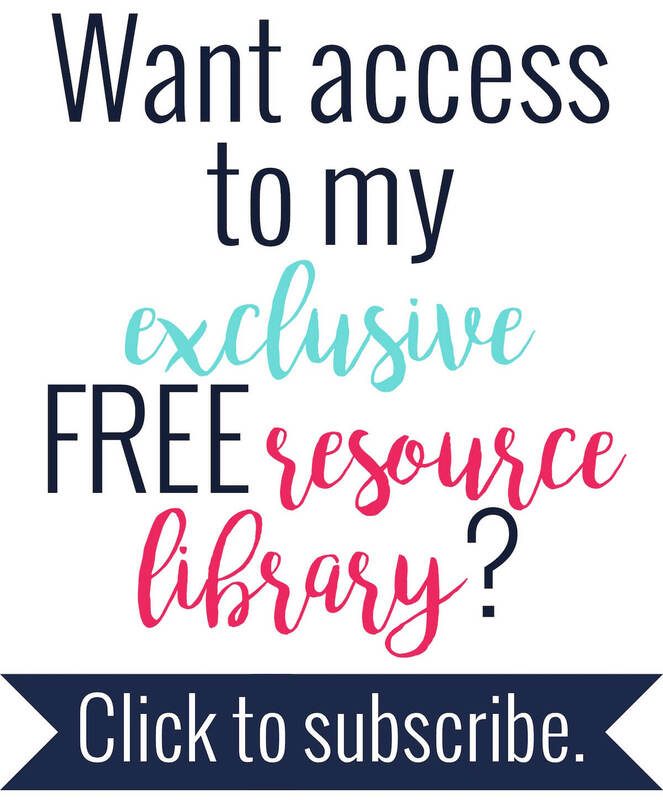 Bonus: There's a free printable! Unlocking Fractions for the Confused and Bewildered - Scipi has shared her tips about teaching fractions on her blog, Go Figure! Scipi has been teaching math “since the earth cooled” (her words, not mine) and currently teaches math at the college-level. Even in college, students are still scared of the dreaded F-word (FRACTIONS!). Her tips can hopefully help contribute to the cure of math-phobia. Using Clothespins in Math - Jen, from Runde's Room, used clothespins to help students understand fractions. Students hung the clothespins on a number line for a great hands-on lesson. Cuisenaire Squares - Simon, from Following Learning, used cuisenaire rods to help students investigate number patterns. This post also explains how Twitter can be a great place for teachers to connect and share ideas. Multiplying by 10: Why you can 'just add zero' - Students must understand why tricks work, and not just blindly follow them. This post by the Digi-Block does a great job explaining why you can 'just add zero' when multiplying by 10. Awesome Quadrilateral Project - This year, at the end of my quadrilaterals unit my students did the coolest project - EVER. I had them create a social media page (of their choice) for a quadrilateral. My students were required to give 10 properties in their page. They were so creative! Using the Ladder Method to Factor Expressions - Middle School Math Moments has a great post about helping students understand factor expressions. Her 6th grade students are off to a great start in pre-algebra! Transformations Summative Assessment - Would you like to give your students a fun assessment instead of a regular quiz? Jan from Equation Freak created a very cute and thorough project for transformations. Her students graphed pictures, colored, and transformed. Angles in a Triangle - This is a walk-through of Euclid's proof of the theorem that the angles of a triangle sum to 180 degrees. This would be a great addition to a lesson in a geometry class. Inverse Trig Graphing - Shireen from Math Teacher Mambo used patty paper to help her students understand inverse trig graphs. She also includes a great idea for an interactive notebook. Function Operations Sum 'Em Activity - Need a fun activity to help students with function operations? I shared this free sum 'em activity to help students practice operations and compositions of functions. 10 Unusual Ways to Explore Math - Christina, from Interested-Led Learning, says she never really liked math in school. Sadly, I know where she’s coming from. On her blog post, she shares different and interesting ways to get kids interested in math that they typically don’t learn in school. Non-Transitive Grime Dice - In his post, Mike played around with some non-transitive dice. He shared a neat little activity with a surprising result. 2015 Mathematics Game - Denise, from Let's Play Math, gives a fun way for people of all ages to play with numbers. Use the digits in the year 2015 to write mathematical expressions for the counting numbers 1 through 100. There are versions of the game for all ages and levels. New Year Party Challenge and How to Make a Binary Abacus - The year 2015 is a palindrome in binary! Christy from Thriving Stem shares a tool to help figure it out. With this abacus, young children can figure out small numbers, elementary students could work on place value, and adults can play with an unusual binary challenge. Incorporating Writing in Math - I’ve been trying to incorporate more writing and literacy in my classes. I have found that it has not only helped my students writing skills, but has also helped them create a deeper understanding of mathematical concepts. I incorporate writing in math mostly as my student’s warm-ups. Math in the Ferris Wheel - It’s important that we, as teachers, help students see all the math around them in their everyday lives. The Math Manic did exactly that in her post. She shares her experience asking students to find the math in a photograph she took. This is a great idea that could be expanded to any level classroom. Rolling Throne: An Exponent Game - The Results - Simplify With Me did an experiment to see if playing games in the classroom was worthwhile. She had one class period play a game and lectured and gave a worksheet to the other class period. Read her post to see her results! Top 10 Problem Solving Strategies - The collaborative blog, Upper Grade Memoirs, shared 10 strategies for helping students solve problems. This is a good read for any level math teacher! Reviewing Beyond A(nother) Worksheet - Elle from The Spectacular World of Secondary Math says she's always looking for other things than just worksheets to review with her students. She tries to make her classes interactive, especially the review days. In this post she shares some of her favorite ways to review. The Carnival of Mathematics is another blog carnival that you may enjoy. You can check it out here. 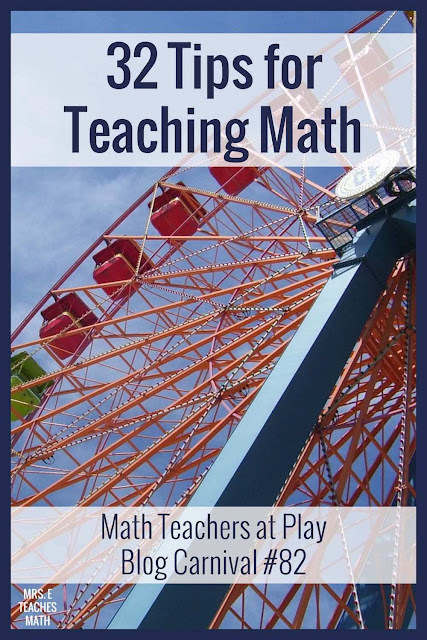 I hope you enjoyed this issue of Math Teachers at Play! Great stuff! Thanks for including me! Great list of resources! Thanks for including my post! I had never heard of happy numbers before. Thanks for hosting! Great selection of posts! Thanks for including Digi-Block.